The Rangers are off to a hot December start! The Jr. Rangers kicked off December with a packed weekend of league play. Nearing the halfway point of the season, many of the Rangers teams are starting or continuing to thrive. The 09E's earned a weekend sweep. They kicked off the weekend with a 5-4 win at home against the 95 Giants, and then knocked off the first place Seacoast Spartans on Sunday with a 5-2 decision in Exeter. The 06S team shut out the Wizards in Tewksbury 3-0 on Saturday. Coming off the victory, the 06 team held the lead for the majority of the game on Sunday against the Glades Elite team, but ultimately fell to the tough squad from Vermont 5-4 in the last minute of the contest. The 05E's continue to roll in E9 play with a pair of wins this weekend in Hingham, taking down both Boston Advantage teams. They defeated the Advantage Elite team 2-1 on Saturday, followed by a 5-0 shutout victory against the Advantage Select team. The third weekend sweep for the Rangers came from the 05S team. Coming off winning the Montreal Fall Classic tournament last weekend, they went on the road to beat the NE Knights 8-2 on Saturday. The 05S Rangers returned to home ice Sunday morning to earn a convincing 7-3 win against the Rifles. Capping off the recap is the 04E's. They only had one game this weekend, but kicked off the second half of their schedule with a 4-0 shutout win over the Americans at Hockeytown. With only a few weeks left before a break in league play for the Holidays, the Rangers will look to continue to build on their recent success. Several Rangers teams will also look to take home some hardware when they compete in upcoming Christmas and New Years tournaments. 07S Celebrate a big win against the Rifles! - After falling just short in their first few contests, the 07 Selects picked up a huge win in Springfield over the Rifles. The Rangers got a season high 7 goals ultimately resulting in a 7-3 victory. - The 05 Elites picked up two wins in E9 play over the weekend. They started with a 3-1 home victory over the Rifles followed by a 5-2 win over the Wizards in Bedford, moving to 5-1-2 on the season. - The 05 Select team remains undefeated in BHL following this weekend's 6-1 victory over the 95 Giants. The 05S Rangers have outscored opponents 34-4 to lead to their 3-0-0 start. - The U16 Rangers were in action at BIC early Saturday morning, and were hot from the start. The Rangers moved the puck well and capped off a 3-1 win over the NE Edge with a power-play goal early in the third period. - The 10E Rangers traveled to Seacoast for a action packed contest that ultimately resulted in a 5-5 tie, keeping the young Rangers unbeaten through 4 games at 2-0-2. - The 04 Selects also had an action packed battle with the Icemen Sunday night in East Boston, ending in a 4-4 draw. 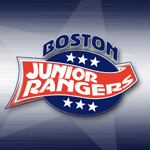 Team pictures for the Jr. Rangers will be tonight for all but 2 full-season Jr. Rangers teams (07E & 07S tomorrow night), and skills will be run as scheduled. The 09s and 10s stay undefeated in league play. - The 2010E team went to Concord to take on the Patriots on Sunday. They emerged victorious with a 7-5 win and move to 2-0-1 in the young season. They will go to Seacoast next weekend to take on the 2-0-1 Spartans. - The 09E's go to 2-0-0 on the season with a 10-4 win against the 95 Giants in Attleboro. The young Rangers lead the division in goals scored with 18, and goal differential (+9). They will take on the Seahawks (2-0-1) next weekend in Hyannis. - The U15's earned their third straight victory of the season with a 4-2 win over the previously undefeated Icemen. Over the 3 game streak, the Rangers have outscored opponents 14-5. - The 05E's were in Tewksbury Saturday for a tilt with the Patriots that resulted in a 4-4 draw. There was a quick turn around that had the Rangers going to Rhode Island on Sunday for a matchup against the Saints that ultimately saw the same result as Saturday's contest, ending in another 4-4 tie. They have allowed the second fewest goals against (11) in the division this season. - The 04E's competed in the U14 New England Fall Prep Tournament over the weekend. They won their first two games and advanced to the Semi-Finals Monday morning, but came up just short of making the Finals falling to the South Shore Kings. A new season is about to begin. In a few weeks, players will be back on the ice to kick off the 2018-2019 campaign. We will be welcoming back many familiar faces after the busiest summer BIC has had since opening in 2008. The Claddagh Fund hosted it's 3rd Annual Charity Hockey Tournament in May. The Claddagh Fund partners with many charitable organizations that range from pediatric cancer research to support for wounded Veterans and their families. This year's tournament featured two divisions, along with appearances from Ken Casey of the Dropkick Murphys and Legendary Boston Bruins Defenseman Bobby Orr. BIC also proudly hosted the 3rd annual Cross-Check Cancer Women's Hockey Tournament. Thanks to many generous raffle & silent auction donations, and the hard work from several dedicated volunteers, over $10,000 was raised for Dana Farber Cancer Prevention research. The tournament itself grew from years past, as 15 teams competed throughout two divisions. We welcomed back several skills programs this summer, including Elite Skills, High End Hockey, and Hill Hockey clinics. Goodrich Hockey School (run by North Shore Vipers Director Seth Goodrich) enjoyed growth from last summer, and had an excellent turn out for the Girl's Prep and College Exposure Showcases. GHS also held bi-weekly skates for 2 hours every Tuesday and Thursday night that allowed Vipers as well as players from other programs to continue their development throughout the summer months. The Boston Jr. Rangers and Breakaway Total Hockey Training enjoy a successful summer with their Total Hockey Development program. With over thirty fully enrolled players, the program made great strides this summer. The program included a forty five minute workout followed by a 60 minute station based practice two times per week for 8 weeks. The program was run by Boston Jr. Rangers Head of Hockey Development Ryan Blair with assistance from professional, college and junior hockey players from the area. The high energy and detailed instruction proved to be very beneficial for players of all ages and abilities. Breakaway Total Hockey Training also ran a few different programs for small groups that saw athletes take a big step forward in their development. We have made some improvements to our facility. The sinks in the men's restroom were replaced with a cleaner looking counter style setup (Women's room to be done in near future). Rink 1 was taken out for two weeks to replace and repaint the ice, and features a new logo at center ice. Player gates have been repaired and new game nets have been delivered. We are also preparing to begin a renovation of the restrooms and showers between locker rooms 1-4. The renovation will include brand new shower stalls, valves, etc. 2 new hot water tanks, and brand new insulated piping to feed the water into the team restrooms. We are excited for this upcoming season. Thank you to everyone who participated in any clinics, tournaments, practices, etc. held at BIC over the past several months. 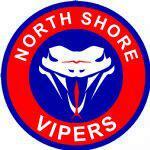 Stay tuned for a new article soon previewing the upcoming seasons for the Boston Jr. Rangers and North Shore Vipers. The 1st Annual Jr. Redmen Kickoff Classic will run from August 23rd to August 30th. The kickoff classic will feature some of the top Pee Wee Teams in the area, including the Tewksbury Jr. Redmen, Triton Vikings, Reading Rockets, and Lynnfield-Saugus Stars.